BETTER road manners may result if an automobile signal device recently placed on the market becomes popular. 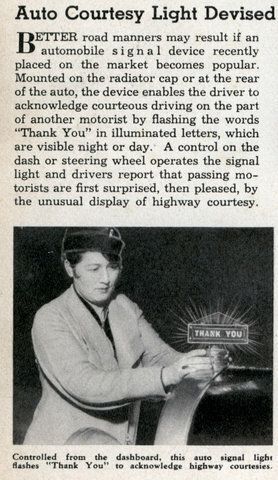 Mounted on the radiator cap or at the rear of the auto, the device enables the driver to acknowledge courteous driving on the part of another motorist by flashing the words “Thank You” in illuminated letters, which are visible night or day. A control on the dash or steering wheel operates the signal light and drivers report that passing motorists are first surprised, then pleased, by the unusual display of highway courtesy. 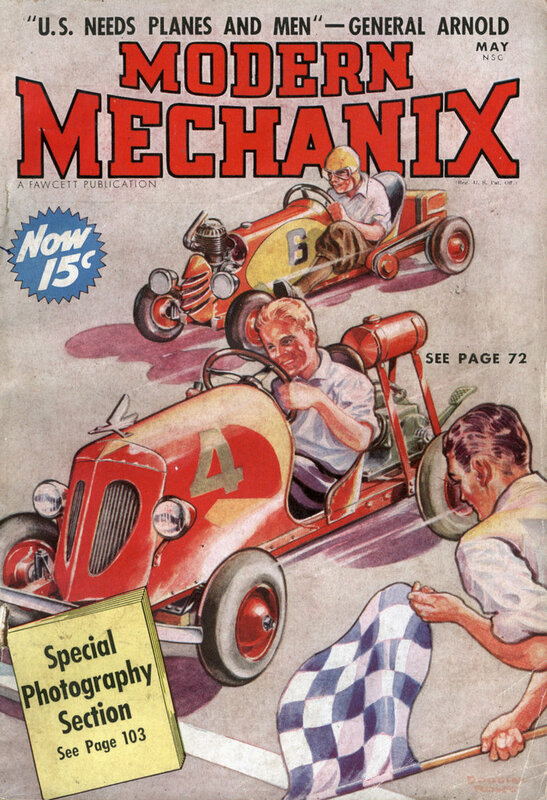 They should bring those back, but spelling F— You! to acknowledge people that cut you off and are idiots on the road. I was about to say that albear, but say it’s because it’s the 21st Century. Or have two buttons; one to flash THANK YOU and the other to add 😐 to indicate sarcasm. I typically use either a peace sign to indicate gratitude or a very sarcastic thumbs-up to indicate that thou hath failed it.